Sodium hypochlorite (NaOCl) is a compound that can be effectively used for water purification. It is used on a large scale for surface purification, bleaching, odor removal and water disinfection. 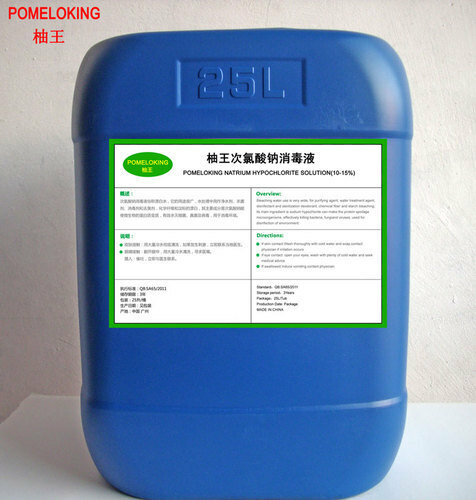 Sodium hypochlorite is a clear, slightly yellowish solution with a characteristic odor. Supplier of ammonia alum, potash alum, ferric alum, non ferric alum, humic acid, acid slurry, acetic acid, citric acid, sodium tripoly phosphate, ferric chloride, ammonium chloride, magnesium sulphate, copper sulphate, alpha olefin sulphate etc.